Back in August we visited somewhere I'd been wanting to go to since seeing it on Gardeners' World (Friday night TV guilty pleasure alert). 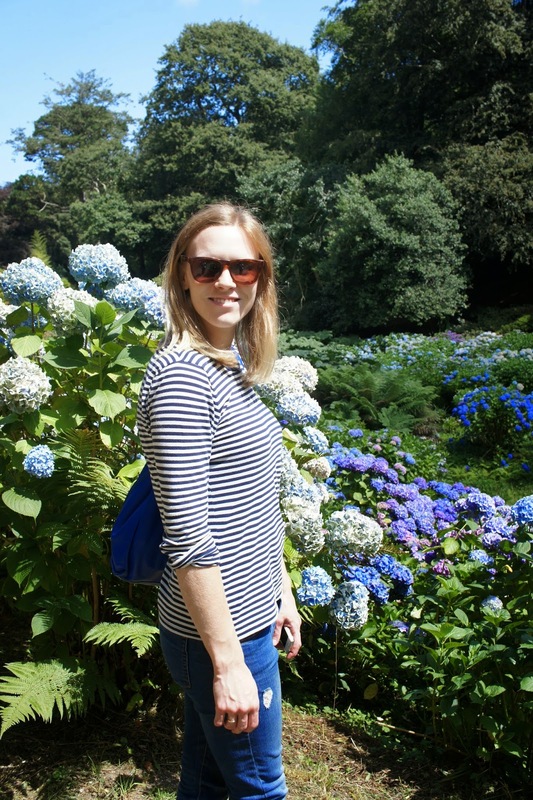 Trebah Gardens in Falmouth are sub-tropical gardens set in a beautiful valley that rolls right down to the Helford River. You can pootle down the various paths before hopping up some steps and onto a pebble beach with beautiful views and an ice cream shop. 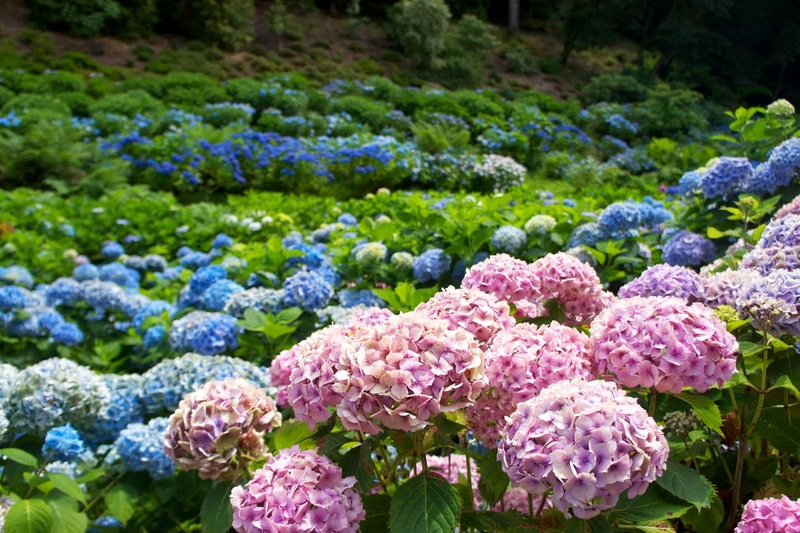 August is the best time of year to see the incredible Hydrangea Valley, which was the main reason I wanted to visit. 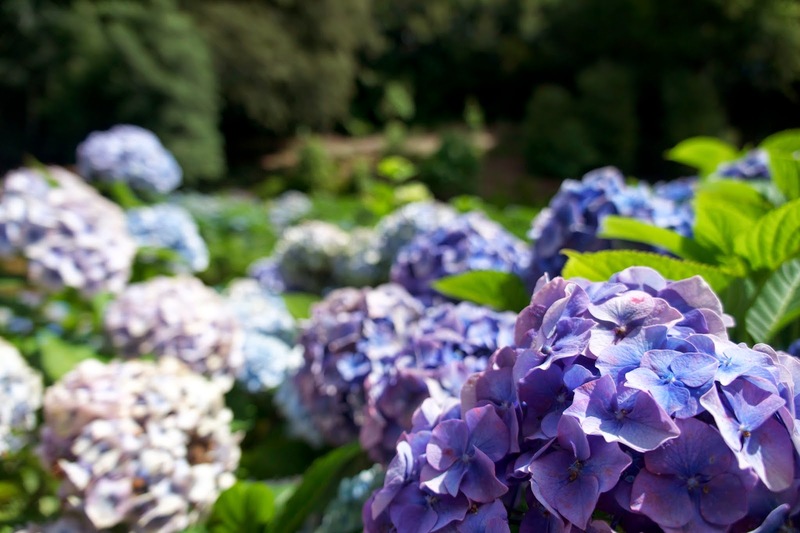 Hydrangeas are one of my favourite flowers and the valley was even better in person than it looks in these photos. The whole garden is a joy to walk round with a diverse selection of trees and plants and I can imagine it must look incredible in autumn too. There's also plenty of fun elements to entertain children, including a zip swing (which I may have had a go on.) If you're in the area, I recommend it.